Marlow Briggs and the Mask of Death, now in high res! If you'd like a super high-res version suitable for poster prints, look no further! 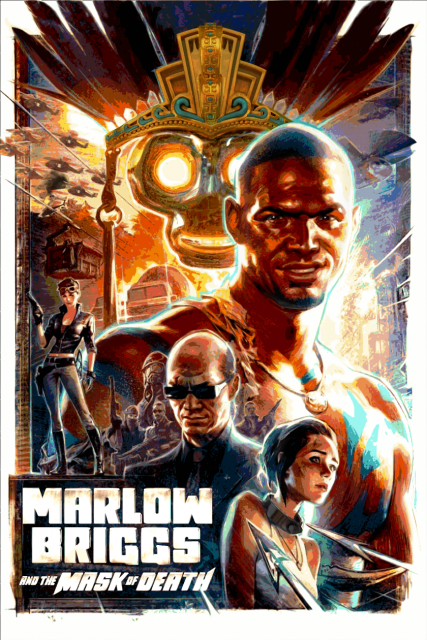 Get the super high res Marlow Briggs Poster here (18MB). Download the Blender source file here (3MB). Feel free to continue to work on it. I'd love to see an even more enhanced version, but I'm out of enthusiasm at the moment.